We took the opportunity of the break from the milking routine and before the births of our four kids in March, to visit their ancestral cousins in Kerala, India. 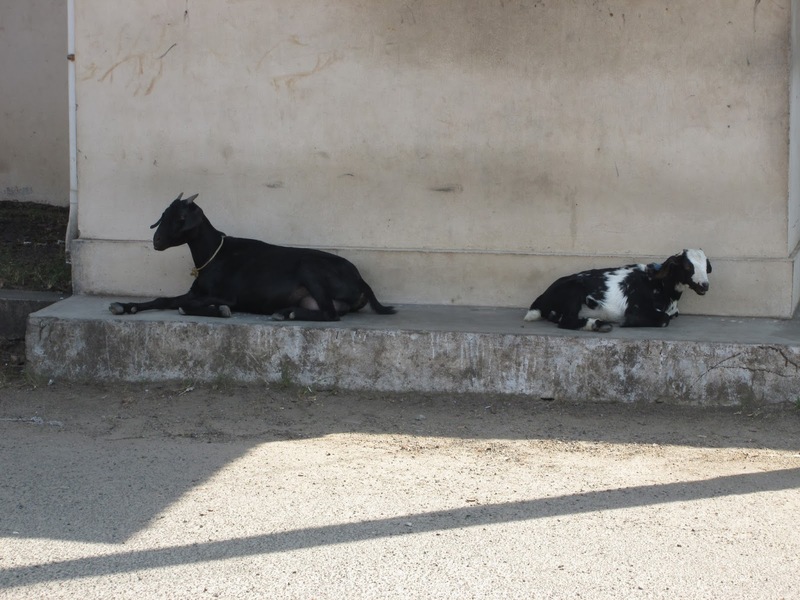 Goats are a common sight there and in many towns and villages they are left to roam during the day singly or in small family groups. Those in the towns seem to spend most of their time sifting through any piles of rubbish they come across (a far cry from our pampered trio) or, in the case of the kids, playing ‘king of the castle’. They disappeared from the streets at night finding their way home for milking and presumably some food. However in the countryside of the western Ghat hills the goats were taken to fresh scrub land twice a day and tethered, along with cows and water buffalo, presumably to stop them eating the rice, or the tea and coffee bushes since there were no field boundaries. Each evening we would see them being driven home usually by the women or children of the household. 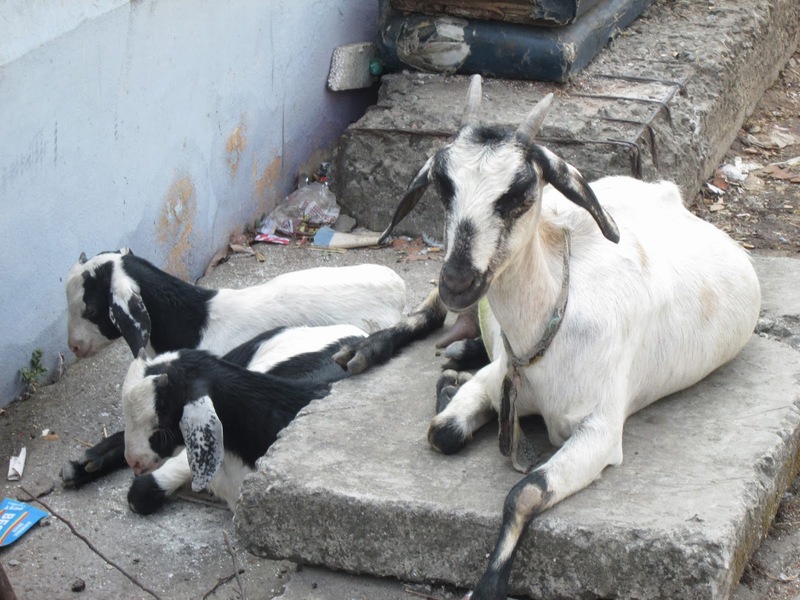 We didn’t see any fully grown billy goats and since Hindus who make up the biggest group in Kerala are vegetarian we wondered how and where they dispose of the young male goats. (I’m sure Tom will know! ).